I hope everyone has had a good week and are eagerly awaiting tomorrow’s sewing bee. My sewing bee freehand antics seems to have a few of you interested in learning to do this also, so due to popular demand I have decided to set up a workshop to teach just this. The workshop will hold on Saturday the 5th of April from 13:00-18:00, in the very trendy Bow area of East London. This is an all inclusive 5hr workshop; all the fabrics, equipments, haberdasheries you need to make the top/dress will be included and I have taken it upon myself to make sure you have unlimited tea/coffee and biscuits (O what a hard task! ), who knows I may even bake a cake ,not promising though. There will only be 12 in the class because I want to make sure that you get as much of my attention as possible. This workshop does require you to have a bit of sewing machine experience and the ability to sew a straight line, I am offering a 30min sewing machine refresher, just before the workshop begins, because I know that some of us have had our machines gathering dust for a looooooooong time and have become a bit rusty with operating it. This is at no extra cost, so if you feel you need this just show up at the venue half an hour before the workshop is due to start. 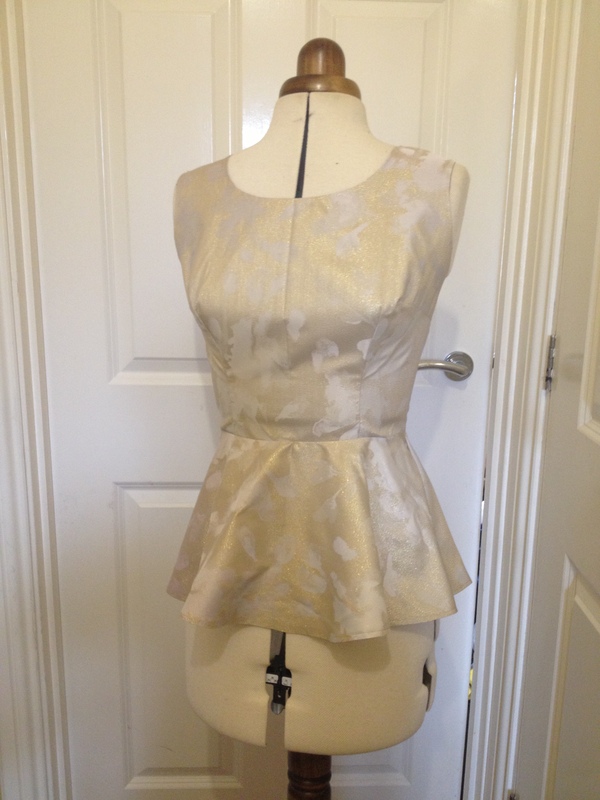 or you may wish to extend the length of the peplum to make a skater style dress, whichever you choose to make on the day, it will be beautifully fitted to you and a stylish addition to your spring/summer wardrobe. ← Summer Dress with Full Skirt; Juniors Edition. I live in Nottingham,are you doing any workshops here at all? Would you be interested in promoting your workshops for free on our website at williamgee.co.uk? It’s for sewing enthusiasts and fashion design hobbyists! Hope that helps and I look forward to promoting your classes!